Rep. Paul Ryan is a Republican congressman from the state of Wisconsin who was first elected to national office in 1998 and became Speaker of the House in 2015. Mitt Romney’s running mate during the 2012 presidential election, Ryan built much of his reputation on promoting severely austere economic and government spending bills. He has also supported hawkish U.S. foreign policies. In April 2018, he announced he would not seek re-election, ending his tenure in Congress. In one of his last major actions as Speaker, Ryan inserted language into a separate bill that prevented the House from using the War Powers Act to pass any resolution relating to United States support for the Saudi Arabian war in Yemen. The move angered even some Republicans, who were trying to find a way to materially rebuke Saudi Arabia’s de facto ruler, Crown Prince Mohammed Bin Salman, both for his handling of the conflict in Yemen and his responsibility for the murder of Washington Post columnist Jamal Khashoggi. Before becoming a congressman, Ryan served in a variety of posts in Washington. In the early to mid-1990s, he worked as a speechwriter for the William Bennett-led advocacy group Empower America. Before Empower morphed into the influential establishment Tea Party group FreedomWorks in the mid-2000s, it launched a widely noted pressure group called Americans for Victory over Terrorism, which touted a militarist U.S. foreign affairs agenda in the wake of the 9/11 attacks. In 1996, Ryan worked as a speechwriter for the late Jack Kemp, then the GOP vice presidential nominee who served as a mentor to Ryan and was also a director of Empower America along with Bennett, Jeane Kirkpatrick, and Vin Weber. Ryan also worked as a legislative director for former Sen. Sam Brownback (R-KS), a “pro-Israel” hardliner whose views reflect those of Christian Zionism. Ryan regularly criticized the Obama administration’s foreign policy. He sometimes evoked the late Jack Kemp, the notoriously hawkish congressman (R-NY) for whom Ryan once worked as a speechwriter, in describing his approach to foreign policy. “You know, Jack Kemp used to say he wasn’t a hawk-he was a heavily armed dove. That’s what I’d like to think I am-and what we all are,” he said at a Center for a New American Security (CNAS) conference in 2014. He lambasted the July 2015 Iran nuclear deal as “terrible” and called for Congress to “reject it.” In September 2015, he also stated that Congress should impose new sanctions on Iran, which experts argued would derail the agreement and put the United States on a dangerous path of escalation with Iran. “Instead of opening pathways for Iran’s nuclear and terrorist agenda your administration should work with Congress to strengthen sanctions regimes until Iran changes its behavior,” he said in a letter to the White House. In an apparent effort to bolster Ryan’s foreign policy chops, the Romney campaign reportedly tapped the leading neoconservative ideologue Elliott Abrams to brief the VP candidate. Abrams is a convicted Iran-Contra figure who headed the Middle East desk at the National Security Council during the George W. Bush administration and has been a strident advocate for the Iraq War and various right-wing, “pro-Israel” policies. During the 2012 election campaign, Abrams called on Congress to authorize a U.S. war with Iran. Alluding to his support for the unpopular wars in which the United States has recently been engaged, Ryan said, “Our ability to affect events is strongest in Iraq and Afghanistan, where for the last decade we have been fighting the scourge of global terrorism. In these countries, we can and we must remain committed to the promotion of stable governments that respect the rights of their citizens and deny terrorists access to their territory.” Like nearly all of his House Republican colleagues, Ryan voted to authorize the U.S. invasion of Iraq and supported the Bush administration’s 2007 “surge” in the country. The neoconservative Weekly Standard praised Ryan’s speech for laying out “a vision that defended America’s exceptional role as a world leader and drew sharp contrast to those who advocate for isolationism and withdrawal.” Bill Kristol, the magazine’s editor and a longtime neoconservative activist, later became a high-profile Republican advocate for Ryan’s selection as the party’s vice presidential pick. Ryan’s adoption of inflammatory language to describe purported enemies has excited right-wing observers. In an August 2012 entry on the “Libertarian Republican” blog, contributor Eric Dondero praised Ryan’s defense of the term “Islamic fascism,” arguing that it “sounds like something straight out of the mouth of Geert Wilders,” the Dutch politician notorious for his efforts to attack Islam. Much of Ryan’s foreign policy work in the House has concentrated on trade issues. CNN.com’s “Security Clearance” blog reported that “the Middle East has been an area of interest for Ryan. He formed the Middle East Caucus in the early 2000s, and from his position on the Ways and Means Committee, he took the lead on pushing free trade agreements with Middle Eastern and Gulf countries that called for countries to enshrine the rule of law and women’s rights in their governments.” The blog added, however, that Ryan has also expressed a special fondness for the writings of Bernard Lewis, a conservative historian popular among many on the right because of his stridently critical views of Muslims and Arabs in the Middle East. Ryan’s apparent attraction to the philosophy (“objectivism”) of the controversial author Ayn Rand—which celebrates greed and views altruism as evil—presents a notable twist to his public persona as a devout Catholic who holds mainstream American values. Rand acolytes have included several other high profile public figures, including former head of the Federal Reserve Alan Greenspan and the controversial anti-Islam zealot Pamela Geller. Ryan, however, has tried to play down his association with Rand’s philosophy. In an April 2012 interview with the right-wing National Review, Ryan said that his alleged devotion to Rand was an “urban legend.” Later, after being chosen as Romney’s VP running mate, Ryan insisted that he no longer “agreed with” Rand’s philosophy. More recently, in 2009, Ryan filmed a campaign video in which he extolled Rand’s philosophy and endeavored to make her ideas relevant to contemporary policy issues. Philip Rucker and Dan Balz, “Romney picks Paul Ryan as running mate,” Washington Post, August 10, 2012, http://www.washingtonpost.com/politics/hoping-to-hit-reset-romney-starts-bus-tour/2012/08/10/beb79fce-e318-11e1-98e7-89d659f9c106_print.html. U.S. Conference of Catholic Bishops, Media Release, “Federal Budget Choices Must Protect Poor, Vulnerable People, Says U.S. Bishops’ Conference,” April 17, 2012, http://www.usccb.org/news/2012/12-063.cfm. Quoted in Nicholas Riccardi, “Democrats target Paul Ryan on women’s issues,” Associated Press, August 20, 2012, http://www.usnews.com/news/politics/articles/2012/08/20/democrats-target-paul-ryan-on-womens-issues. Paul Ryan, “The Cause of Life Can’t be Severed from the Cause of Freedom,” Heritage Foundation, September 20, 2010, http://paulryan.house.gov/news/documentsingle.aspx?DocumentID=207539. Bernie Becker, “GOP congressman: Ryan natural heir to Jack Kemp,” The Hill, August 11, 2012, http://thehill.com/blogs/ballot-box/presidential-races/243195-gop-congressman-ryan-natural-heir-to-jack-kemp. Nicole Duran, “2016 Hopeful Paul Ryan Carefully Wades into Foreign Policy Arena,” Foreign Policy, June 11, 2014, http://foreignpolicy.com/2014/06/11/2016-hopeful-paul-ryan-carefully-wades-into-foreign-policy-arena/?wp_login_redirect=0. John McCormack, “Paul Ryan on Ukraine: ‘This Is What Happens When You Project Weakness Abroad,’” The Weekly Standard, March 4, 2014, http://www.weeklystandard.com/blogs/paul-ryan-ukraine-what-happens-when-you-project-weakness-abroad_784128.html. Adam Kredo, “Paul Ryan: Nuclear Deal Gives ‘Iran a Roadmap to a Full-Scale Nuclear Weapons Program,’” Free Beacon, September 14, 2015, http://freebeacon.com/national-security/paul-ryan-nuclear-deal-gives-iran-a-roadmap-to-a-full-scale-nuclear-weapons-program/. 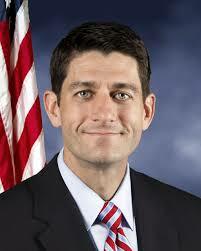 Dave Unhoefer, “Did Paul Ryan change his position on a red line and chemical weapons in Syria?” Politifact, October 13, 2013, http://www.politifact.com/wisconsin/statements/2013/oct/13/paul-ryan/did-paul-ryan-change-his-position-red-line-and-che/. Alex Griswold, “Paul Ryan: Obama Made ‘Huge Mistake’ By ‘Dissing’ Netanyahu [VIDEO],” Daily Caller, March 3, 2015, http://dailycaller.com/2015/03/03/paul-ryan-obama-made-huge-mistake-by-dissing-netanyahu-video/. Trip Gabriel and Nicholas Confessore, “Ryan Meets Casino Mogul and Major G.O.P. Donor,” New York Times, August 14, 2012, http://www.nytimes.com/2012/08/15/us/politics/paul-ryan-meets-sheldon-adelson-in-las-vegas.html?smid=pl-share. Eli Lake, “Defense Hawks, Rejoice—Paul Ryan’s Your Man!” Daily Beast, August 11, 2012, http://www.thedailybeast.com/articles/2012/08/11/defense-hawks-rejoice-paul-ryan-s-your-man.html. Zack Beauchamp, “Ryan Adviser Calls On Congress To Authorize War With Iran,” Think Progress, August 21, 2012, http://thinkprogress.org/security/2012/08/21/719611/ryan-adviser-abrams-iran-war/. Daniel Larison, “Paul Ryan’s foreign policy speeches: What they say about Mitt Romney’s running mate.” The Week, August 13, 2012, http://theweek.com/bullpen/column/231903/paul-ryans-foreign-policy-speeches-what-they-say-about-mitt-romneys-running-mate. Michael Warren, “Paul Ryan Embraces American Exceptionalism, Rejects Isolationism in Foreign Policy Speech,” Weekly Standard, June 2, 2011, http://www.weeklystandard.com/blogs/ryan-embraces-exceptionalism-rejects-isolationism-foreign-policy-speech_573194.html?nopager=1. Dylan Byers, “GOP again turns to Bill Kristol ball,” Politico, August 12, 2012, http://dyn.politico.com/printstory.cfm?uuid=11AD080F-EF90-4FB9-B951-582C35AA46DB. Eric Dondero, “Paul Ryan on the threat of ‘Islamo-Fascism’,” Libertarian Republican, August 14, 2012, http://www.libertarianrepublican.net/2012/08/paul-ryan-on-threat-of-islamo-fascism.html. Jamie Crawford, “Ryan’s foreign policy views shaped by his budget battles,” CNN, “Security Clearance,” August 13, 2012, http://security.blogs.cnn.com/2012/08/13/ryans-foreign-policy-views-shaped-by-his-budget-battles/. James Fallows, “I Was Wrong: Paul Ryan Has Been ‘Brave’—About Cuba,” The Atlantic, August 12, 2012, http://www.theatlantic.com/politics/archive/2012/08/i-was-wrong-paul-ryan-has-been-brave-about-cuba/261035/. Richard Oppel, “Ryan Criticizes Obama’s Cuba Policy and Explains His Shift on the Issue,” New York Times, September 22, 2012, http://www.nytimes.com/2012/09/23/us/politics/ryan-criticizes-obamas-cuba-policy-and-explains-his-shift-on-the-issue.html. Robert Costa, “Ryan Shrugged,” National Review, April 26, 2012, http://www.nationalreview.com/articles/297023/ryan-shrugged-robert-costa. 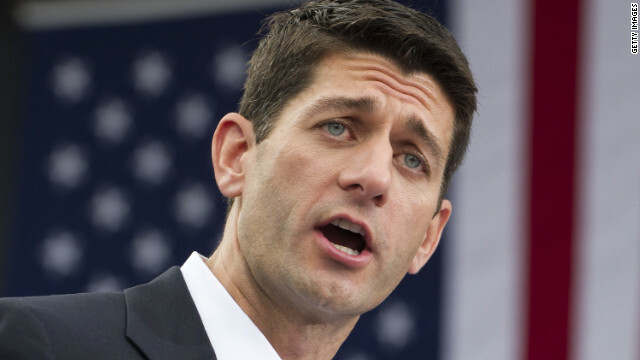 Gary Weiss, “Is Paul Ryan for or against Ayn Rand?,” CNN, August 14, 2012, http://edition.cnn.com/2012/08/14/opinion/weiss-ryan-rand/index.html. Benjy Sarlin, “Paul Ryan Disowns Remarks To Ayn Rand Group Decrying ‘Collectivist’ Social Security,” Talking Points Memo, September 24, 2012, http://2012.talkingpointsmemo.com/2012/09/paul-ryan-ayn-rand-divorce.php. Gaucho1, “Paul Ryan on Ayn Rand,” YouTube, April 26, 2012, https://www.youtube.com/watch?v=WmW19uoyuO8&feature=player_embedded#! Philip Rucker and Dan Balz, “Romney picks Paul Ryan as running mate,” Washington Post, August 10, 2012,http://www.washingtonpost.com/politics/hoping-to-hit-reset-romney-starts-bus-tour/2012/08/10/beb79fce-e318-11e1-98e7-89d659f9c106_print.html. Quoted in Nicholas Riccardi, “Democrats target Paul Ryan on women’s issues,” Associated Press, August 20, 2012,http://www.usnews.com/news/politics/articles/2012/08/20/democrats-target-paul-ryan-on-womens-issues. Paul Ryan, “The Cause of Life Can’t be Severed from the Cause of Freedom,” Heritage Foundation, Septebmer 20, 2010,http://paulryan.house.gov/news/documentsingle.aspx?DocumentID=207539. Nicole Duran, “2016 Hopeful Paul Ryan Carefully Wades into Foreign Policy Arena,” Foreign Policy, June 11, 2014,http://foreignpolicy.com/2014/06/11/2016-hopeful-paul-ryan-carefully-wades-into-foreign-policy-arena/?wp_login_redirect=0. John McCormack, “Paul Ryan on Ukraine: ‘This Is What Happens When You Project Weakness Abroad,’” The Weekly Standard, March 4, 2014,http://www.weeklystandard.com/blogs/paul-ryan-ukraine-what-happens-when-you-project-weakness-abroad_784128.html. Adam Kredo, “Paul Ryan: Nuclear Deal Gives ‘Iran a Roadmap to a Full-Scale Nuclear Weapons Program,’” Free Beacon, September 14, 2015,http://freebeacon.com/national-security/paul-ryan-nuclear-deal-gives-iran-a-roadmap-to-a-full-scale-nuclear-weapons-program/. Dave Unhoefer, “Did Paul Ryan change his position on a red line and chemical weapons in Syria?” Politifact, October 13, 2013,http://www.politifact.com/wisconsin/statements/2013/oct/13/paul-ryan/did-paul-ryan-change-his-position-red-line-and-che/. Alex Griswold, “Paul Ryan: Obama Made ‘Huge Mistake’ By ‘Dissing’ Netanyahu [VIDEO],” Daily Caller, March 3, 2015,http://dailycaller.com/2015/03/03/paul-ryan-obama-made-huge-mistake-by-dissing-netanyahu-video/. Trip Gabriel and Nicholas Confessore, “Ryan Meets Casino Mogul and Major G.O.P. Donor,” New York Times, August 14, 2012,http://www.nytimes.com/2012/08/15/us/politics/paul-ryan-meets-sheldon-adelson-in-las-vegas.html?smid=pl-share. Zack Beauchamp, “Ryan Adviser Calls On Congress To Authorize War With Iran,” Think Progress, August 21, 2012,http://thinkprogress.org/security/2012/08/21/719611/ryan-adviser-abrams-iran-war/. Daniel Larison, “Paul Ryan’s foreign policy speeches: What they say about Mitt Romney’s running mate.” The Week, August 13, 2012,http://theweek.com/bullpen/column/231903/paul-ryans-foreign-policy-speeches-what-they-say-about-mitt-romneys-running-mate. Michael Warren, “Paul Ryan Embraces American Exceptionalism, Rejects Isolationism in Foreign Policy Speech,” Weekly Standard, June 2, 2011,http://www.weeklystandard.com/blogs/ryan-embraces-exceptionalism-rejects-isolationism-foreign-policy-speech_573194.html?nopager=1. Jamie Crawford, “Ryan’s foreign policy views shaped by his budget battles,” CNN, “Security Clearance,” August 13, 2012,http://security.blogs.cnn.com/2012/08/13/ryans-foreign-policy-views-shaped-by-his-budget-battles/. James Fallows, “I Was Wrong: Paul Ryan Has Been ‘Brave’—About Cuba,” The Atlantic, August 12, 2012,http://www.theatlantic.com/politics/archive/2012/08/i-was-wrong-paul-ryan-has-been-brave-about-cuba/261035/. Richard Oppel, “Ryan Criticizes Obama’s Cuba Policy and Explains His Shift on the Issue,” New York Times, September 22, 2012,http://www.nytimes.com/2012/09/23/us/politics/ryan-criticizes-obamas-cuba-policy-and-explains-his-shift-on-the-issue.html. Benjy Sarlin, “Paul Ryan Disowns Remarks To Ayn Rand Group Decrying ‘Collectivist’ Social Security,” Talking Points Memo, September 24, 2012,http://2012.talkingpointsmemo.com/2012/09/paul-ryan-ayn-rand-divorce.php.